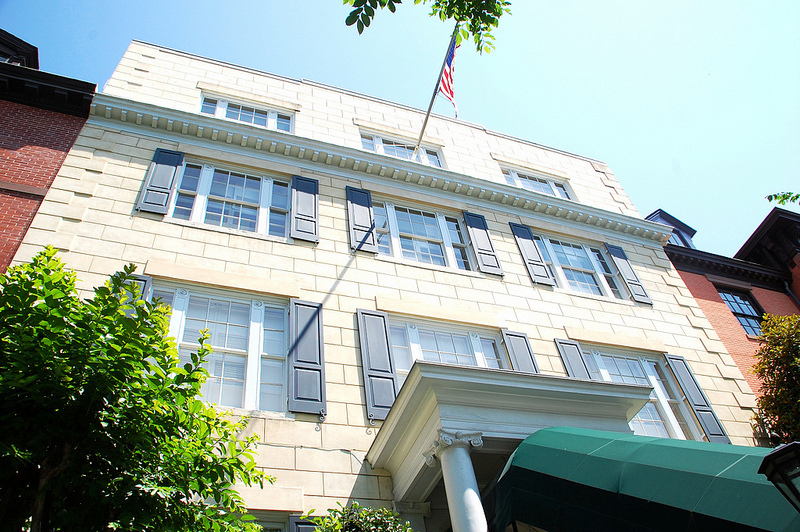 Just down the street from the White House is a tall, tan building with a green awning – Blair House. Its official function is as a presidential guest house – that is, guests of the president stay here. And “here” actually means Blair House plus the adjoining houses – four buildings in all, comprising over 60,000 square feet and managed by a staff of 18. I guess the president has a lot of guests! The house also served as temporary presidential quarters during the Truman Administration – engineers found the White House so structurally unsound that it was not considered safe for the First Family to stay there, so the Trumans moved down Pennsylvania Avenue for a time while crews conducted their repairs. It was here at Blair House that on November 1, 1950, two members of a Puerto Rican nationalist movement attempted to storm the house and kill the president. These two were not precision planners – in fact, they weren’t even sure the president was home – but they went ahead anyway, opening fire as they approached the front steps. 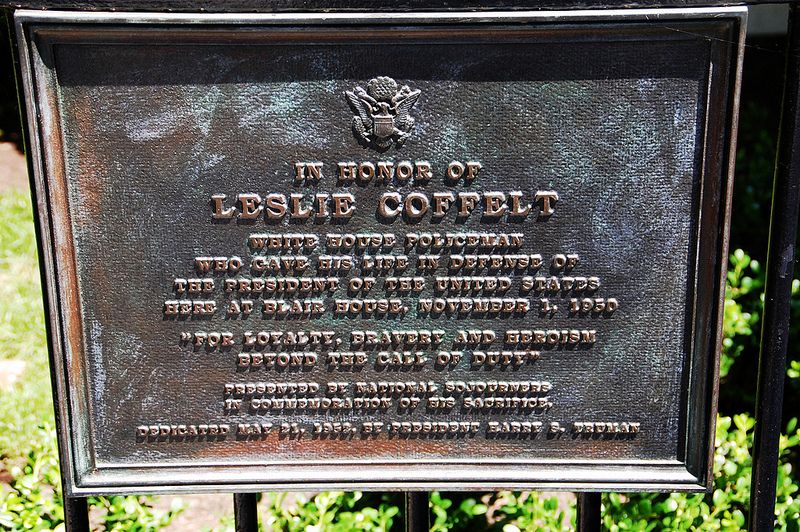 They wounded three guards – one of them, Leslie Coffelt, was mortally wounded, but managed to return fire and kill one of the attackers at the front steps. Other guards shot the second man, who was wounded but survived. The whole encounter lasted just 38 seconds. Truman was, in fact, home at the time; he was upstairs taking his afternoon nap when the gunfight broke out and quickly chose the most reckless course of action: he ran to the window to see what was going on. Fortunately by then it was all over, but the guards waved the president back into the residence just the same. 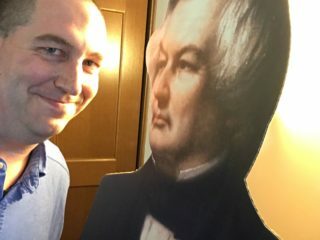 Truman was unfazed – “A President has to expect these things,” he said – and went about the rest of his day without a hitch.